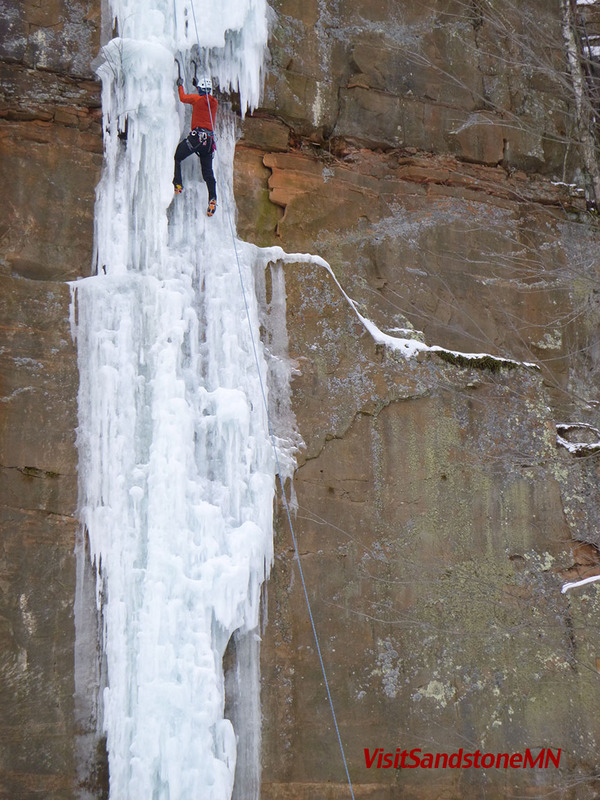 Ice climbing in Sandstone Minnesota received some press. It’s always nice to see your hometown making the news for something good. The Sandstone Tourism Board is available to assist with the needs of the media. Story ideas, high res photos, local contacts – we can help. 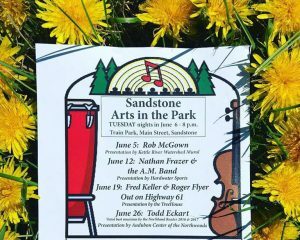 Do you think your event would be a good fit to the family friendly small town of Sandstone, MN ?? Contacting the Sandstone Visitors Board is a first step in getting your event plans to move forward in Sandstone MN. One of the core functions of the Sandstone Tourism Development Committee is supporting the current festivals in Sandstone and to encourage additional events in the city. Looking for something fun to do this winter ? We’ve have a couple of option here in Sandstone, Minnesota. Sandstone, Minnesota is home to Minnesota’s first ice park. On the old Quarry walls of Robinson Park climbers now have a winter playground. The park is open to climbing year round and during the winter months north facing walls are flooded. 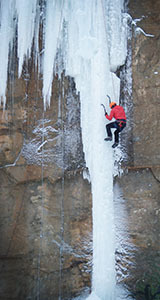 Ice routs as high as 80 feet to lower angle “beginner” ice slopes give a variety for climbers of all experience levels. If you’re looking for a real adventure, the local guide company, Hard Water Sports, can take you out for a day of ice climbing. Plenty of options for winter hiking near Sandstone, Minnesota. Banning State Park is to the North, South, and East of Sandstone. It’s an easy 1 mile walk to the truly beautiful Big Spring Falls from Robinson Park. The trail is a little rougher to Wolf Creek Falls from Robinson Park. Once in Banning State Park you’ll have several good choices of hiking trails. The park has 17 miles of marked trails. Hike along the Kettle River to Hell’s Gate for some of the best views. More information on Banning State Park. A bunch of great fishing lakes are within a few minutes of Sandstone, Minnesota. 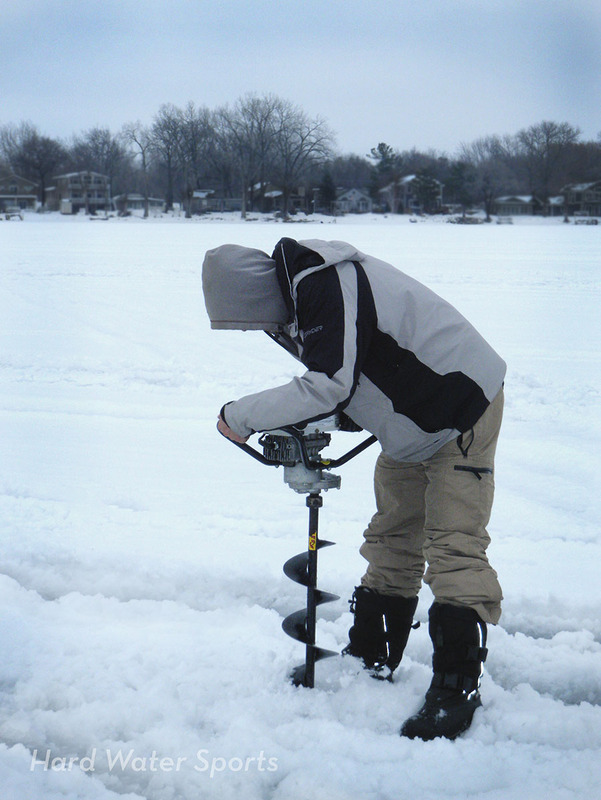 Grindstone, Sand, Pine and Big Pine lakes are just a couple of the options for ice fishing adventure lovers. check out Petry’s Bait to stock up for this adventure. And there’s skiing. Downhill skiing at Spirit Mountain and Mount du Lac. Banning State Park has ungroomed trails for cross country skiing and a few miles of snowmobile that connect up to longer trails. 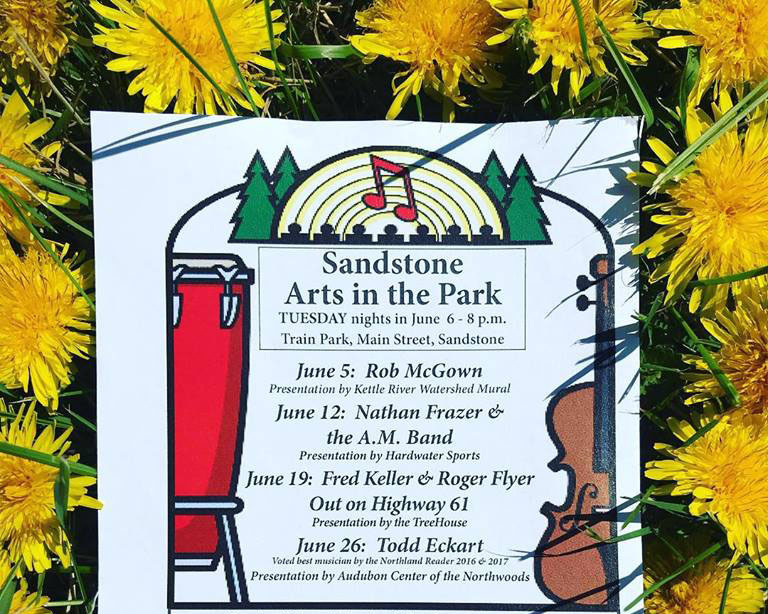 Join the Fun Tuesday Nights in Sandstone, Minnesota. With 4 seasons of adventure, Sandstone, Minnesota is truly a year-round destination for outdoor athletes and nature enthusiasts. From the ice climbing on the frozen walls of Robinson Park Quarry to the spring snow melt and the whitewater rafting on the Kettle River. Plenty adventure options await in Sandstone, MN from cross-country skiing, snowshoeing, horseback riding, biking, rafting or fly-fishing. 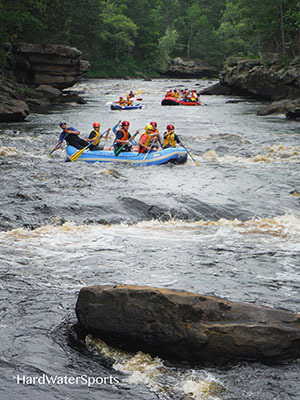 Canoeist, Kayakers, and Rafters flock to the Kettle River to enjoy the high water of the spring snow melt. 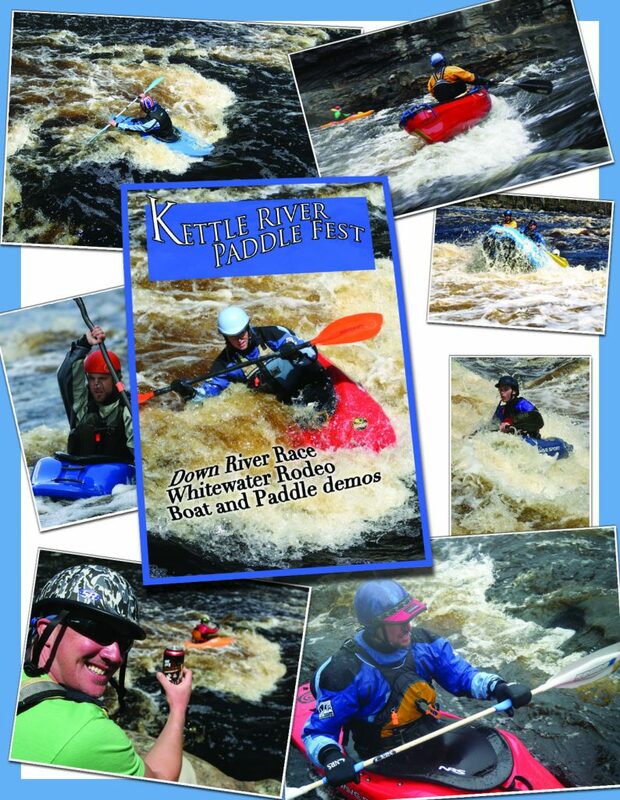 The Kettle River Paddle Festival, an annual whitewater paddler’s event hosted by a local paddlers club, happens every May. 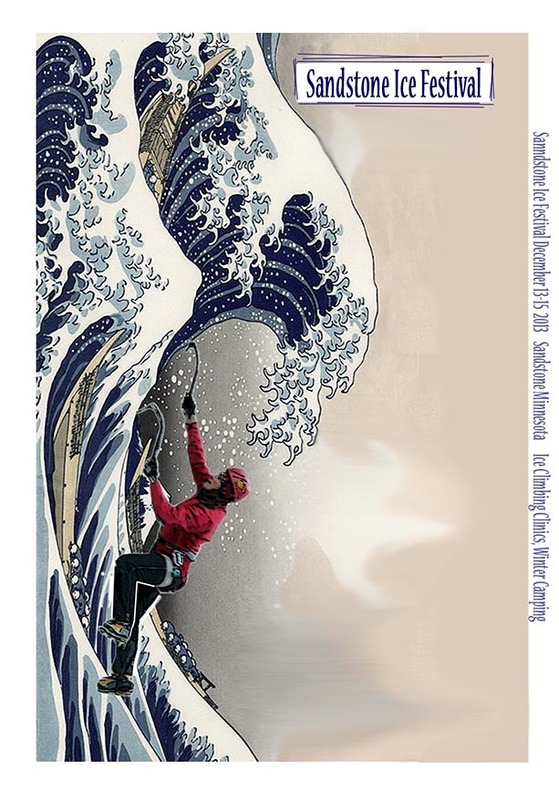 Contact our local whitewater rafting company, Hard Water Sports, for rafting information. Rock climbing and bouldering along with lazy paddling on the Kettle River. Paddle through Banning state or head down river from Robinson Park to Big Spring Falls. 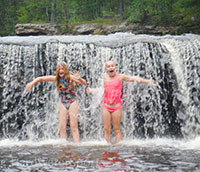 Hike the trails of Banning State Park and discover the swimming holes of the Kettle. 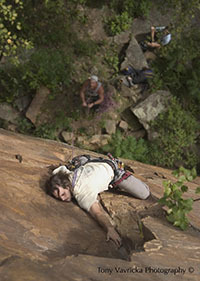 With the changing season, cooler weather sets in and the climbing scene picks up. Sport routes and boulder problems aboud in Robinson Park or check out the recently opened climbing of in Banning State Park. Bring along the trail runnig shoes and you can make a quick dash to Big Spring Falls or take the trail up river to Hell’s Gate to explore the wonders of the Kettle River. Ice climb on the frozen walls of Robinson Quarry Ice Park. When the temp drops low enough ice gets farmed to create an ice climbers playground. Robinson Park is the home of the Sandstone Ice Festival, celebrating the winter with an annual festival in January. Other options for winter activities include skiiing and snowshoeing the miles amd miles of trails in Banning State Park. Sandstone, MN is an easy day trip from Minneapolis – or better yet, grab your camping gear and stay a few nights.